This Thursday, April 23rd, marks the 451st birthday of arguably the most famous poet in the English language, William Shakespeare. 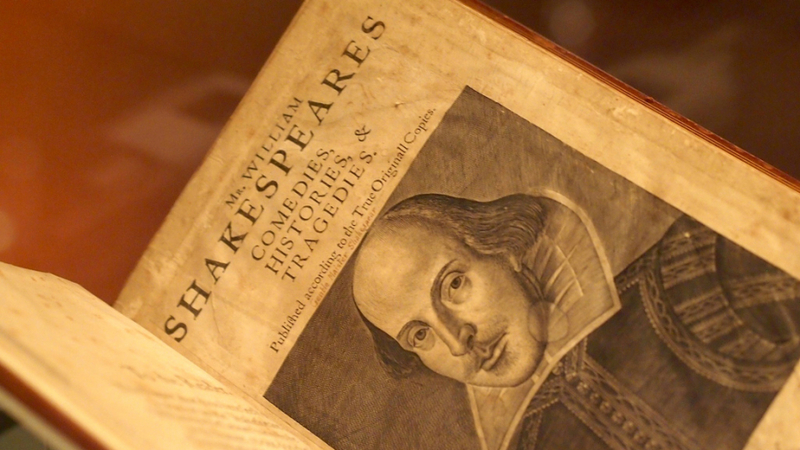 It also means that it has been nearly two years since the New York Shakespeare Exchange launched The Sonnet Project. The Sonnet Project attempts to bring Shakespeare to new audiences by capturing the beauty of all 154 of Shakespeare’s sonnets in a series of short films. It is the brainchild of Ross Williams of the NY Shakespeare Exchange, who is now the Executive Producer and Artistic Director of The Sonnet Project. Each film dramatizes a single sonnet in a contemporary context, using New York City as its backdrop. The hope is that the familiar setting will highlight the relevance of Shakespeare’s text for our own time. 154 NYC locations have been chosen for the films, covering all five boroughs. These locations include Grand Central Station (Sonnet 143) and The Strand bookstore (Sonnet 82). Other locations are a little less familiar, such as local bar on Staten Island (Sonnet 119). According to the project’s mission statement The Sonnet Project is “trying to begin a conversation with Shakespeare the playwright, not Shakespeare the icon. Shakespeare was an artist, and like all artists he was trying to find his voice. He’s no good to us on a pedestal.” This enormous demystifying endeavor has come a long way: at the beginning of this month, they finished their 100th film, Sonnet 27, which takes place on the Verrazano-Narrows Bridge. There is also a different, volunteer director for each film, and different actors. The actors are mostly unknown, although you may recognize the faces of some minor TV characters. The idea is not to make “A Short Film starring George Clooney”, but to bring Shakespeare’s writing to the forefront. The poetry is the centerpiece, the actors merely a conduit for the words. I was inspired by this project because, although there are so many unusual and fantastic adaptations of Shakespeare’s plays out there (Sleep No More, for example), the possibilities that the sonnets present seem largely ignored. Whether you love Shakespeare or hate him, you’ve probably had to read at least one of his sonnets in your academic career; most likely it was Sonnet 18, “Shall I compare thee to a summer’s day”, which will be the finale film of The Sonnet Project along with Sonnet 154. However, The Sonnet Project is a completely unique way of experiencing the sonnets. It’s definitely worth checking out, even if you only watch one two-minute video. Now I’m just waiting for them to film one at Columbia. For access to all of the released films and more information on the inspiration and the people behind The Sonnet Project, you can visit their website: sonnetprojectnyc.com. Madeline Pages is a junior in Barnard College. She is a member of the editorial board of The Columbia Review.